Emergency communications of the past mostly took place through voice calls. But today this is changing with text and rich media such as video increasingly used by emergency services personnel and the public as critical events unfold. The transformation is happening rapidly, putting immense pressure on control room operators. Indeed, they must now quickly learn new skills to ensure they can derive the right information to dispatch personnel accordingly. Add to this the uncertainty around the launch of the Emergency Services Network (ESN), which replaces TETRA with 4G in the UK, and control rooms are struggling in the midst of a perfect storm of complexity. In the past, control rooms operated on the basis of ‘you call, we come’, but this is changing due to cost pressures, says Reinard van Loo, senior advisor, public safety at Frequentis. New technology is being developed to manage this, including cloud platforms and applications that can enhance current control room solutions. But procurement is still a challenge: control rooms are mostly formed of disparate systems that come up for renewal at separate times, making it difficult to buy a unified solution. Meanwhile, concerns around cloud continue, with control room managers worried about the level of resilience and security this technology brings in a life-or-death environment. But as more solutions become available, the industry is starting to move away from physical equipment, according to Chris Dreyfus-Gibson, vice chairman at the International Critical Control Rooms Alliance (ICCRA – a TCCA working group) and a consultant at PA Consulting. For example, rather than staff having to be physically in the control room, cloud enables new ways of working remotely. “If there’s a big incident, rather than having to buy in capacity, operators can go to their living room and start making calls,” Dreyfus-Gibson says. There may be a lot of hype around the technology, but experts think the real-world benefits offered by cloud are starting to be realised. So, how should the technology be procured? But at the same time, control room managers will want to avoid vendor lock-in when procuring a new solution. “To avoid lock-in you have to be a little bit brave and buy from innovative companies, but that does not come without risk, so you have to be careful,” Teddy Zeh, control room consulting director at Frequentis, says. According to Scott Morrison, vice-president of product marketing at Everbridge, vendor lock-in can be managed by choosing a vendor with an open platform which integrates with other key systems. There is also the potential to procure a unified solution and deal with one vendor, even if contracts are coming to an end at different times. One way of managing this, which some control rooms are already doing, is to extend individual contracts so they all expire at the same time. There is never an ideal time to start with a clean slate, admits Simon Read, director of public safety at Saab Technologies UK. “There is an element of biting the bullet,” he says. Boswell cites the example of one of Saab’s clients, Cheshire Police, which managed its procurement of a unified solution using an outcome-based tender. As control rooms themselves change, the procurement of solutions is transforming too. But it will take time to realise the benefits and, of course, caution must be applied in this complex and critical environment. Michael Newburn is communications technology manager for the County of Fairfax, Virginia in the US. 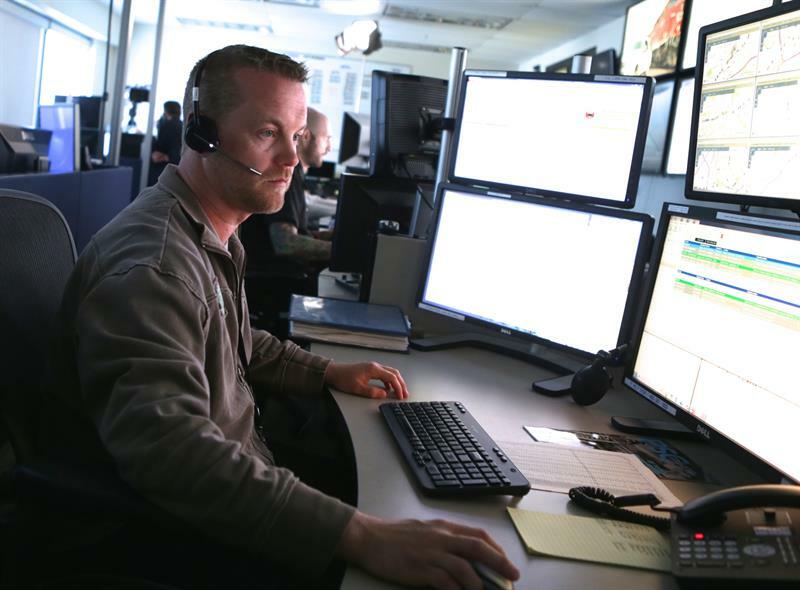 His control room is using Text to 9-1-1 as an alternative to voice calls and to better serve the hearing-impaired community.